Simplicity 8411 - A New 18th Century Pattern! After many moons we finally get to announce the release of our new collaboration with Simplicity Patterns - Simplicity 8411. Now right off the bat many of you will be rolling your eyes over the back-lacing bodice, and questioning some of the other choices we made, so I'm here to allay your fears. 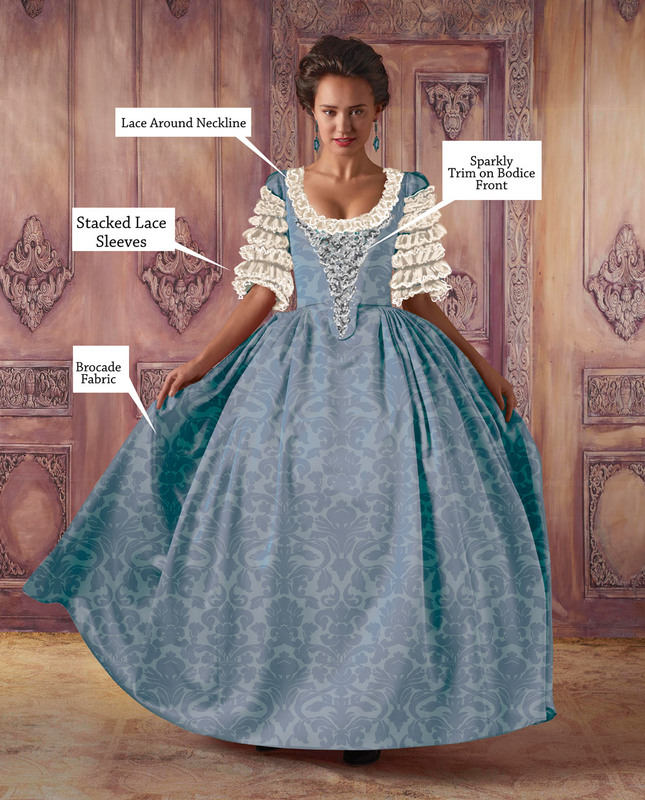 The bodice is based on and patterned from original Robe de Cour (grand habit) bodices. 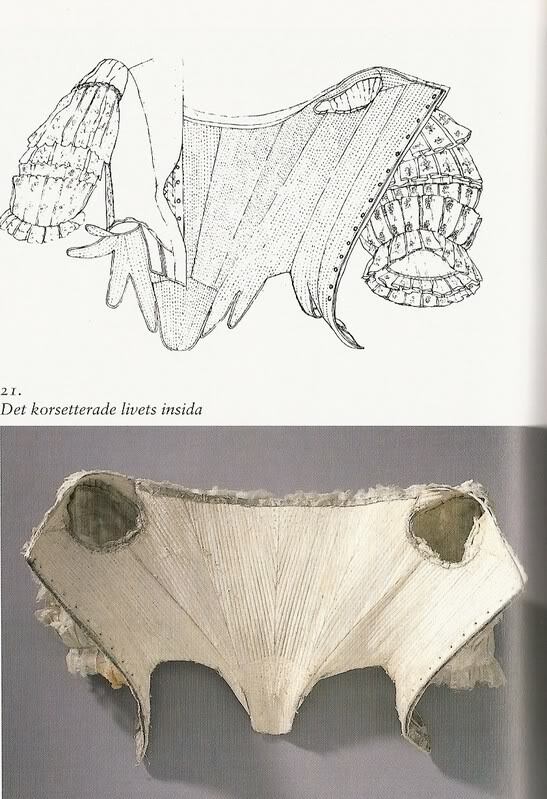 These very special garments were made like stays - fully boned and lacing in back - and were often constructed by tailors rather than mantua-makers. The bodices sometimes had tabs, sometimes didn't, and typically featured a deep center front and back point and broad neckline. The sleeve shape for our pattern comes directly from the mid-18th century. They're full and rather short, pleated into the armscye at the back, and ready for flounces or cuffs to be applied. They're a much more accurate shape for 1700 - 1770 than the tight, darted or two-piece sleeves seen later in the century, plus they're a better bet for those of us with beefier biceps. It's much easier to take sleeves in than let them out! Although untrimmed for the sake of the pop-culture reference, just imagine these with stacked lace ruffles. Yummy! Original Robes de Cour were worn over very wide hoops. The hoops for the Simplicity pattern are large pocket-hoops, very easy to construct, and give a moderately wide appearance. They're not enormous - not nearly as wide as original court gowns - but will serve as a great foundation for this gown as well as your sacques and early-century mantuas. The skirt is very wide and full, but nowhere near as full as the dress in the TV show. For the sake of commercial sewing patterns, the skirt is cartridge pleated to the waistband and shaped at the top to fit over the hoops, but you can just as easily knife pleat this skirt if that's you're preference (it's usually mine). 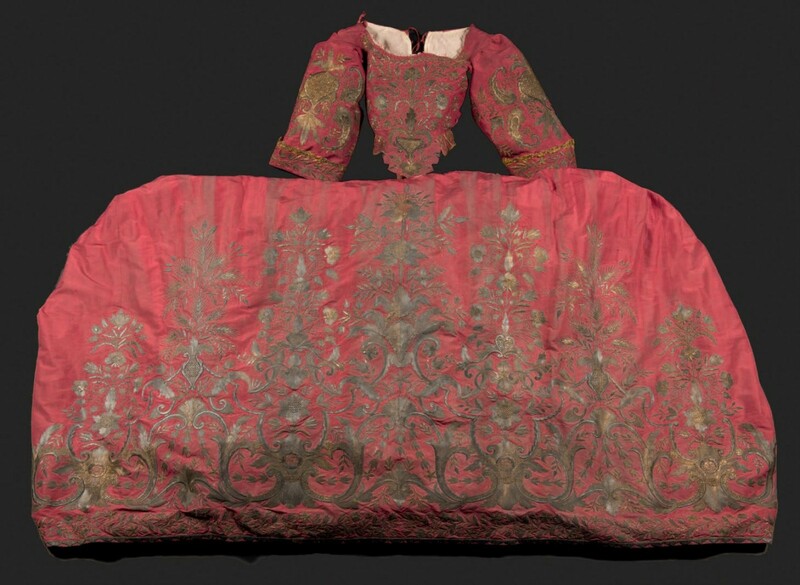 Imagine this dress in silver brocade with a jeweled stomacher and lacy sleeve flounces, like the later Robes de Cour. Your choice of textile, cuffs, and trim will completely transform this pattern. Perhaps an earlier Grand Habit is to your taste - a brocaded silk in blue, silver, gold, red, or peach, with stacked lace on the sleeves, a sparkly stomacher, and a broad lace collar. Use the sleeve pattern as a lining to stitch the lace to. All of these are so easy and *completely* change the look of the gown. The "V" in the bodice front is in-seam, which means no alteration is necessary to remove it - just continue the stitching up to the neck edge. Want to change the shape of the front point? Just draw a different shape! Use the sleeve pattern as a lining and stack lace flounces on for a formal look, or simply add a cuff or ruffles to the sleeve and tack in your lacy flounces. 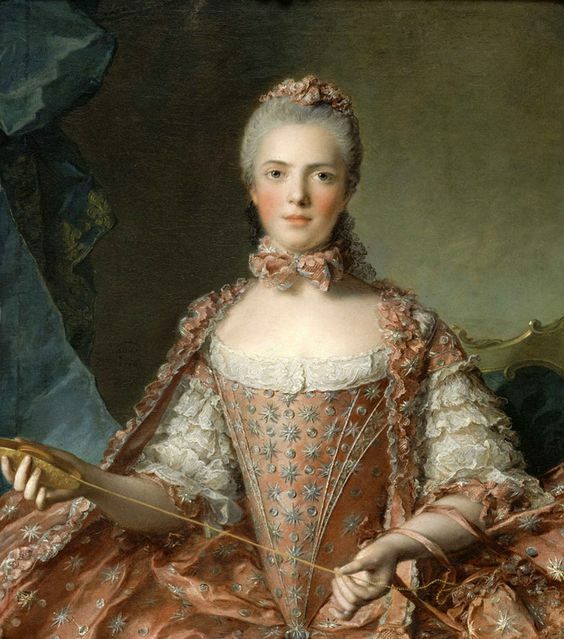 Madame Adelaide of France, c. 1756. Palace of Versailles, MV3801 - imagine this incredible silver-embroidered textile and lace sleeves for your gown. And don't forget the trim. Oh yes! You'll notice this gown is completely untrimmed - even less trimmed than the OL and Hamilton dresses. This was due to space restrictions on the pattern instruction sheets and tissue, but it also allows each sewist to imagine and experiment with her own trim designs. Load this "blank" up with puffs, ruches, flounces, fly fringe, metallic lace, you name it. That's the wonderful thing about a sewing pattern - it's a tool to create your own vision. 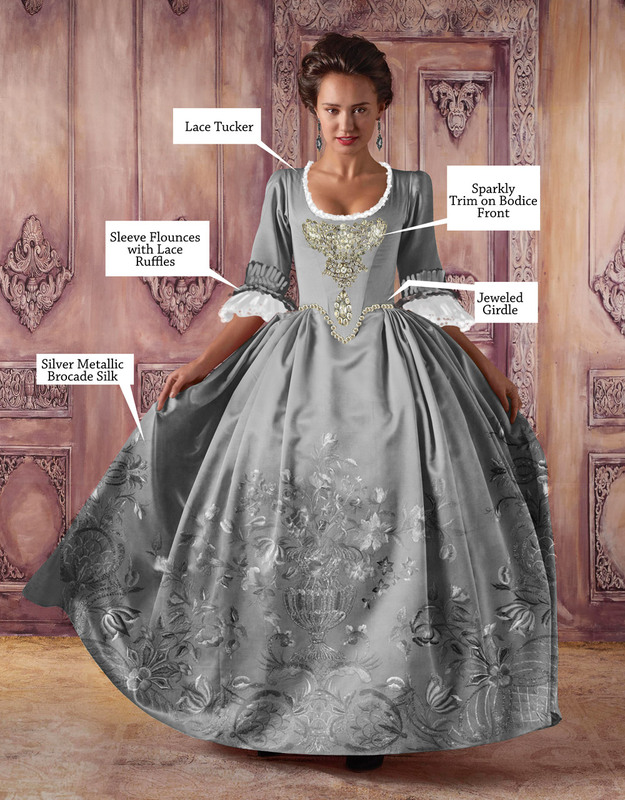 There is nothing that says the dress must be red - you can use this pattern for your own cosplay, or for a more formal court gown.